Caesar Dressing: In a blender or food processor add all the ingredients and blend until all ingredients are fully blended. Salad assembly: layer romaine lettuce, chicken, croutons and parmesan cheese. Drizzle with dressing, toss well and serve immediately! If you like egg in your Caesar, simple add one egg to the dressing ingredients. 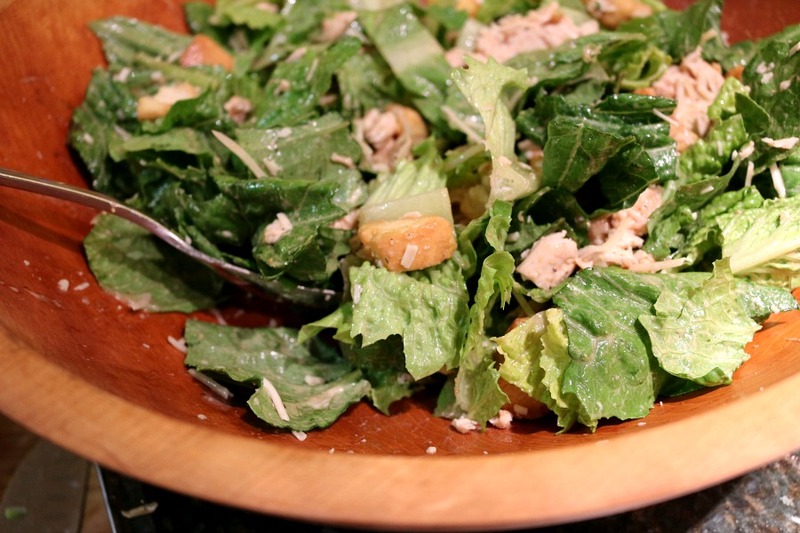 Chicken Caesar Salad makes a nice light evening meal. This recipe is perfection! I chose to skip the egg, but you can add 1 egg to the dressing for a traditional Caesar Salad Dressing. 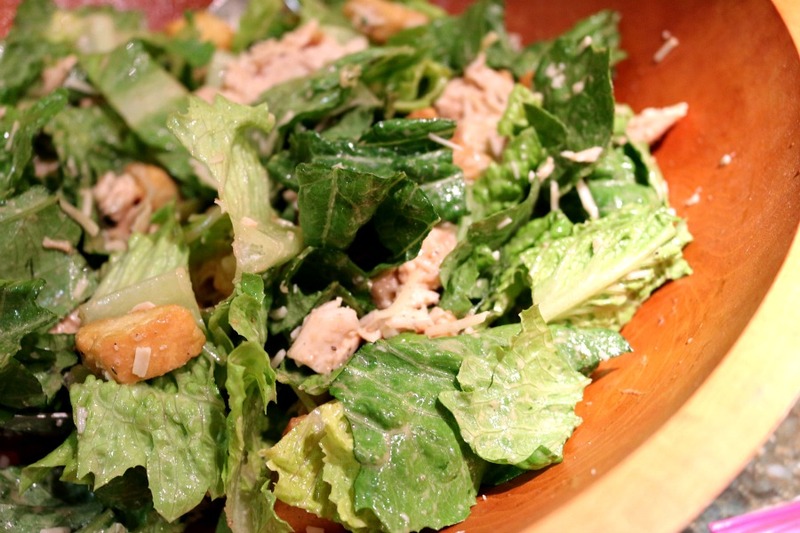 Fresh and Easy Caesar Salad – Shown here with not chicken! Vegetarian option. 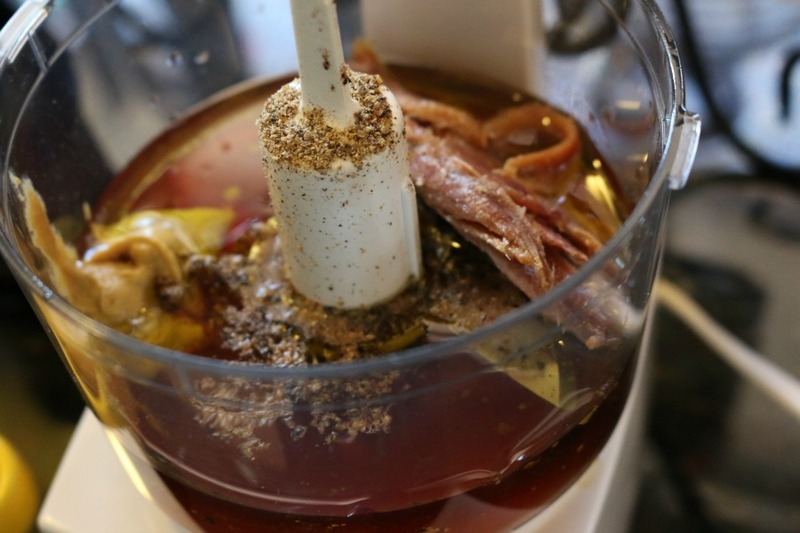 Caesar Salad Dressing – once you make this from scratch you will never go back to dressing in a bottle! DELISH! For a Gluten FREE Option – leave out the croutons. 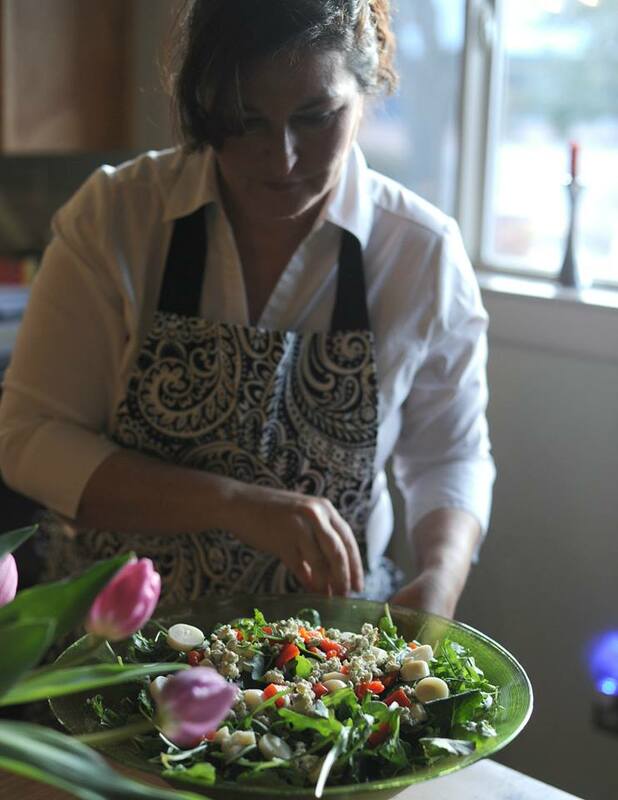 Taken in my kitchen as I prepare one of my favorite salads. Arugula with hearts of palms, blue cheese and roasted red peppers. Salads are one of my favorite foods. I have over one hundred healthy salad recipes on my web site. The choices are endless.